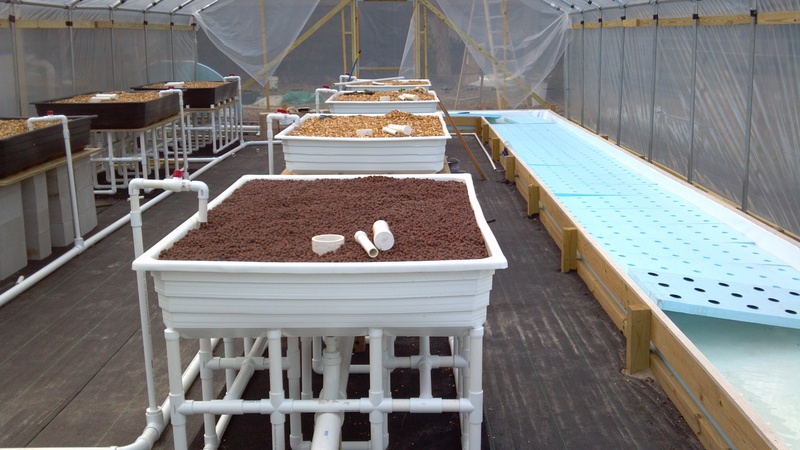 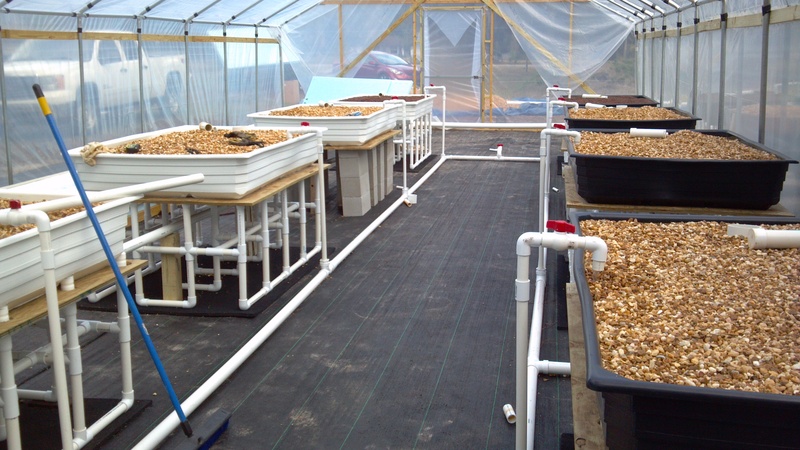 Our revolutionary new aquaponic garden is just about complete. 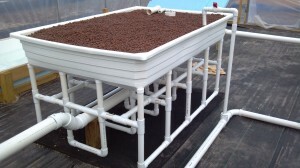 But one thing is for sure, it is complete enough for plants to start growing. 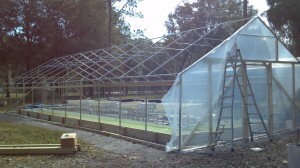 It’s been a long time in the making but we are so pleased to announce that this garden is officially launching. 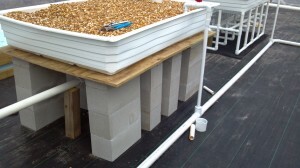 The grow bed you see in these images are of our own design. We are still making some adjustments to the mold but each bed is six by four feet and one foot deep. 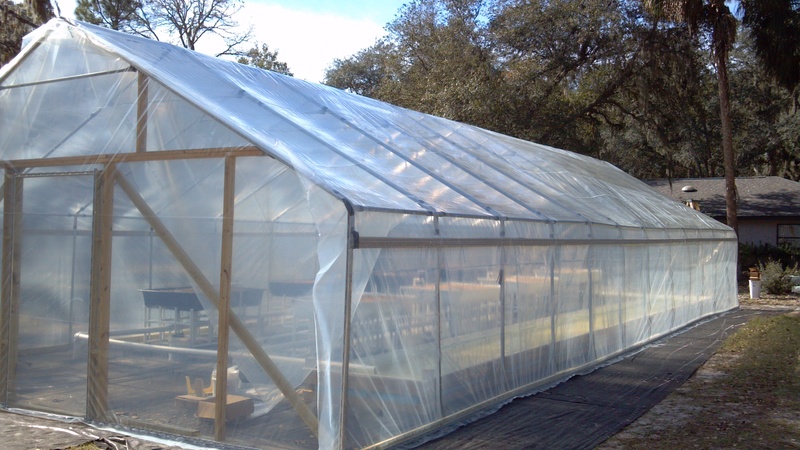 They are specifically designed for aquaponic gardening. 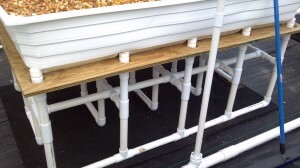 The floating raft system will provide 260 feet of grow space for our lettuce and herbs. We will begin to supply restaurants over the next few months with these deliciously, organically grown products. 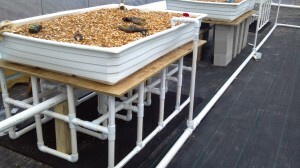 We will also house redclaw crayfish under the rafts…and of course the stars of any aquaponic garden, plenty of fish. 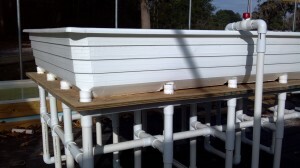 We will be growing tilapia in this beautiful showcase. You will see the many different ways that one could use our grow beds and leg systems, whether you want to use 1 or 100 of them. These are the latest and greatest photos.